As the shell and core of the North half of Arena Place (an 11-story, 376,000 sq ft mixed-use development) neared completion, Orion’s team quickly transitioned to commercial and retail build-outs. One in particular played a vital role in providing the extra caffine-laced fuel necessary to wrap up move-ins for anchor tenants like the 200+ staff of attorney firm, Miller Johnson. 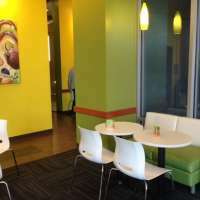 Biggby Coffee is a 1,200 square foot café situated on the ground floor of Arena Place. The colorful and inspiring coffee shop serves 100+ residential tenants; staff of commercial tenants Miller Johnson, Meritage Hospitality Group, Insight Global, Adventure Credit Union, McGarry Bair, The Northern Trust, and the Center for Physical Rehabilitation; as well as surrounding area businesses. 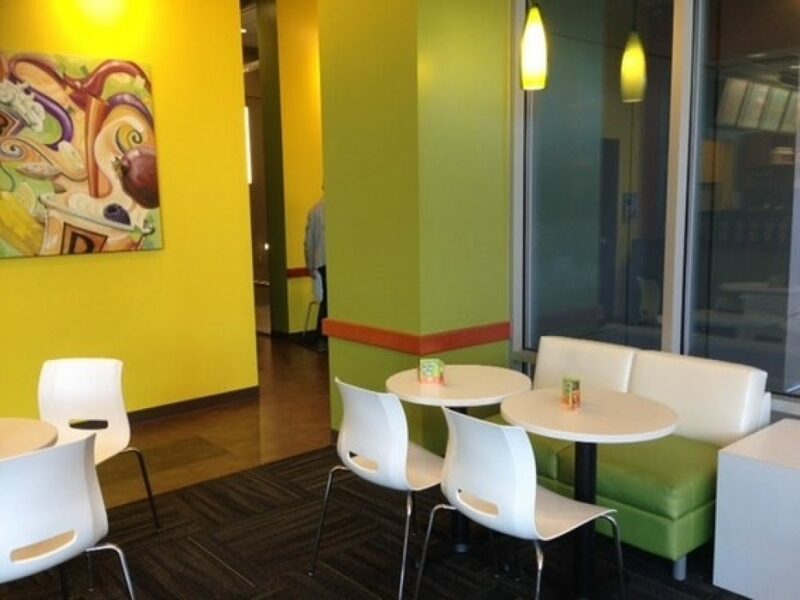 With existing team and subcontractors in place, the practical layout and modern finishes consistent with the Biggby franchise standards was completed quickly and in time for an early summer grand opening. Working with Orion Construction on our new Biggby Coffee location in Arena Place was a gratifying experience. Their team was attentive to our individual needs, proved themselves to be problem solvers and showed integrity through the project. Our space turned out exactly as we hoped for, which was a reminder that we made the right decision in choosing Orion Construction as our contractor and our partner.